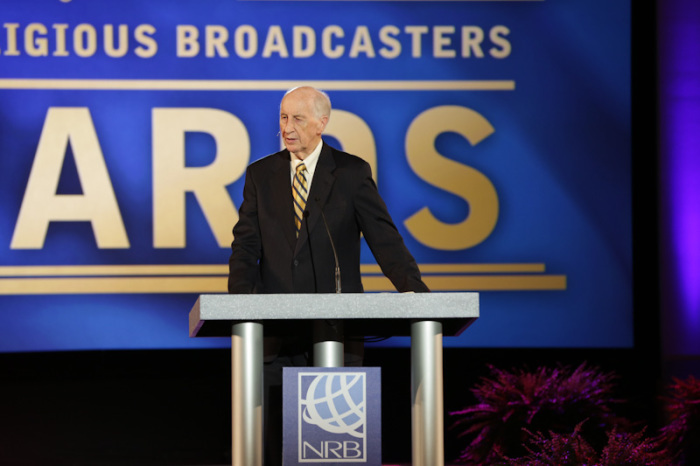 NASHVILLE – The King's University's Jack Hayford urged Christians to answer Jesus' call to love one another, upon receiving the Hall of Fame award at the National Religious Broadcasters' 2014 Convention. "I think the challenge that we face is remembering that we are called to love one another, but also to serve the world with the Gospel," Hayford, chancellor and founder of The King's University in California, reflected during his acceptance speech on Tuesday. Hayford went into TV ministry in 1977, and achieved notable success in 1991 when his one-hour program, "Living Way," began airing on more than 500 stations for 11 years. He also founded The Church On The Way in Van Nuys, Calif., where he served for more than three decades. As he accepted the NRB award, Hayford recalled the day he received Jesus Christ in his life. It was Feb. 25, 1945, when he was only 10 years old. He had experienced a number of health issues in his young life, according to NRB, including a life-threatening illness and polio but he credited his survival to the healing power of God. In his speech, the pastor placed special attention on the biblical account of Jesus washing his disciples' feet, found in John 13, where Peter initially refuses Christ's offer, but then asks for not only his feet, but his hands and head to be washed as well. Hayford argued that followers of Christ should not shy away from washing each other's feet, or tackling the hard areas in life which do not show people at their best. "You'll certainly agree with me that no matter how well-manicured your toenails are, the feet most certainly aren't the most beautiful part of your being." The pastor honored the commitment of NRB from its inception 70 years ago "to stand for the truth, to be willing to take a position for things that become less popular all the time in society." The 2014 NRB Media Awards put a spotlight on notable ministries, facilities, and programs in the world of Christian broadcasters and communicators, seeking to encourage "excellence in production service to the community, faithfulness to the mission, commitment to the Gospel, and personal integrity." The 2014 awards had seven focus areas: Church Media, Radio, Television, Internet, International, Intercollegiate, and Special Service. Among some of the notable winners, Contemporary Christian Music Radio Station KSJB, based in Humble, Texas, was chosen as Radio Station of the Year, while KTLN TV, Total Living Network, a Christian-themed TV station in San Rafael, Calif., was selected as TV station of the year. 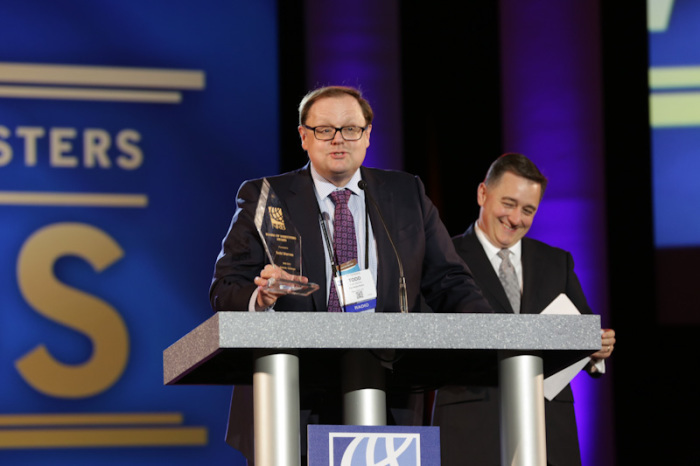 Todd Starnes, host of "Fox News & Commentary with Todd Starnes," also received special recognition as he was honored with the NRB Board of Directors Award. NRB stated that the award is given to Christians who "demonstrate integrity, display creativity, and make a significant impact on society." In his acceptance speech, Starnes thanked NRB and the people attending the ceremony, sharing that he is new to the convention, but gives "honor and glory to Jesus Christ." Starnes appears on a number of Fox News Channel programs, commentating on social issues such as religious liberty and the changing cultural scene of America. He is also the author of books such as Dispatches From Bitter America, They Popped My Hood and Found Gravy on the Dipstick and the upcoming God Less America, to be released in May. Phil Cooke of Cooke Pictures, who moderated a number of NRB 2014 events, was presented with the Individual Professional Member Award. The Christian author and filmmaker thanked the leadership of NRB for creating the opportunity over the last few years "so that all of us together can create some amazing workshops, education sessions, and programs that really touch the lives of the thousands of Christian media professionals around the world." Cooke added: "I think together we can take the NRB to places it has never been before." At an earlier international keynote event on Tuesday, the International Impact Award was presented to "Life Without Limbs," the organization of limbless evangelist Nick Vujicic, who took his inspirational message of overcoming life's biggest challenges to nearly 400,000 people worldwide last year alone. The full list of NRB 2014 awards winners can be found on the official website.